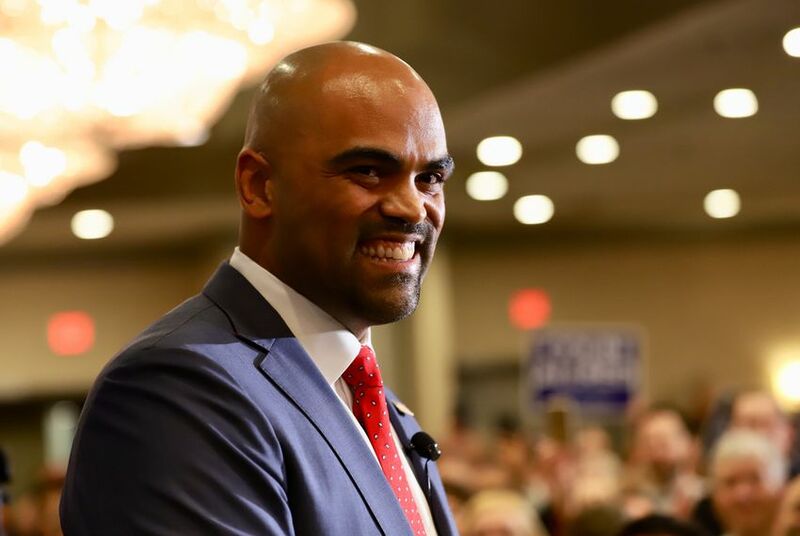 Democrat Colin Allred defeated Republican incumbent Rep. Pete Sessions in the Dallas-area race for Texas’ Congressional District 32, The Texas Tribune projected. Allred leads Sessions 52 percent to 46 percent with 1.4 percent of precincts reporting, according to the Texas Secretary of State. The Allred win was a major blow to Republicans' failed attempt to keep control of the U.S. House. Sessions has served in Congress since 1997 and chaired the House Rules Committee, one of the most powerful committees in Congress. Allred, 35, is a Dallas lawyer, former NFL player and political newcomer who at the most recent tally had outraised his opponent, bringing in nearly $5 million. In 2016, Sessions did not face a Democratic opponent, though Hillary Clinton narrowly beat Donald Trump in the district, marking it as a competitive target for Democrats this cycle.